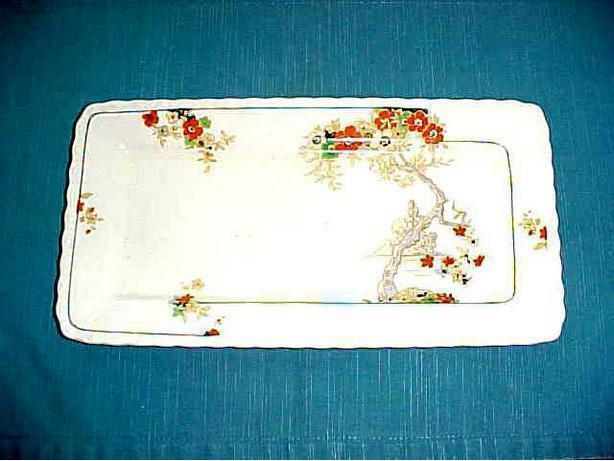 THIS ATTRACTIVE AND VINTAGE PLATE WAS MANUFACTURED BY MYOTT IN STAFFORDSHIRE ENGLAND. THERE IS NO PATTERN MENTIONED ON THE BACK ONLY THE IDENTIFICATION NUMBER 3203. IT MEASURES 6 1/4" BY 12" AND IS IN NICE CONDITION.